All of our officers are fully vetted to BS7858 and trained/licensed as SIA regulations require. 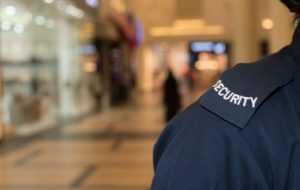 We can offer you piece of mind knowing that a Northern Ireland security company is carrying out your instructions; giving you a safe and secure solution. Our Operations Managers appoint a Contract Manager to you, ensuring your needs are fully understood and met. We then complete a security survey prior to our mobilization at your premises. We only select the officers that are most suited to your specific assignment requirements. Our mobile response units may also visit your site throughout the day and night to increase the security presence on your site and ensure our officers are regularly monitored and managed. Our 24 hour Control Room can monitor all of our officers and contact them on regular intervals to assist with any ‘Lone Worker’ situation.